As a defense attorney Jason gives his clients an excellent legal defense through all phases of a case, from arraignment through trial. Jason has extended his services to include family law matters such as custody, parenting time, child support, and divorce. When a compromise can’t be reached Jason’s experience in the courtroom provides clients with a strong and persuasive voice. Jason knows that others depend on you. Jason is someone in the legal field that you can depend on. That is why he remains easily accessible by phone, email, or in person and is prepared to advocate for you. 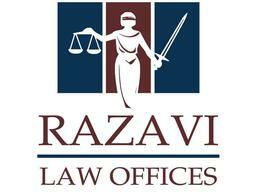 Our firm specializes in helping those facing criminal and family law matters in the courts achieve the best possible results, with prompt and professional service. When your loved ones depend on you, you can depend on us.